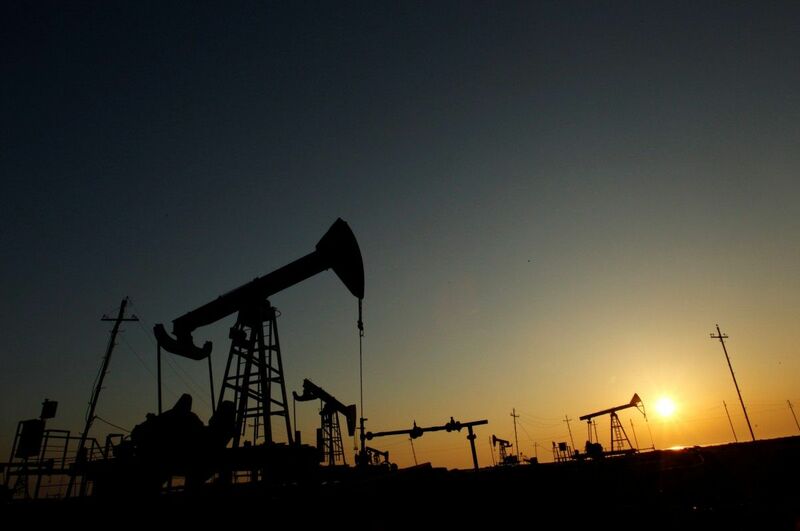 Oil prices rose more than 1 percent early on Monday on a weaker dollar, but another rise in U.S. drilling activity stoked worries that a global supply glut will persist despite an OPEC-led effort to curb output, according to Reuters. Brent crude futures were up 50 cents, or 1.1 percent, at $46.04 per barrel at 02:15 GMT, as reported by Reuters. U.S. West Texas Intermediate (WTI) crude futures were up 44 cents, or 1.0 percent, at $43.45 per barrel. Analysts said oil prices extended gains as investors covered short positions, but there was little fundamental news supporting prices. "It is just the fact that the oil market stopped falling... I suspect short covering," said Ric Spooner, chief market analyst at CMC Markets in Sydney. "And a slight support from a weak U.S. dollar." Read alsoReuters: Oil edges up, but still set for worst first-half performance in 20 yearsThe U.S. dollar index stayed low on Monday against a basket of currencies amid fading expectations for the Federal Reserve to hike interest rates again later this year. A weaker dollar also makes oil cheaper for countries using other currencies. "Commodities stabilized after a turbulent week where most sectors suffered large falls," ANZ bank said in a note. "A slightly weaker U.S. dollar also helped improve investor appetite." Although oil prices have bounced back from 10-month lows, they are still down about 13 percent since late May, when the Organization of the Petroleum Exporting Countries (OPEC) and some other producers agreed to extend a deal to reduce output by 1.8 million barrels per day (bpd) until the end of next March. But crude supplies in the United States, which is not part of the OPEC-led deal, have been dampening the impact of curbs. U.S. energy firms added 11 oil rigs in the week to June 23, bringing the total count up to 758, the most since April 2014, according to data from energy services firm Baker Hughes Inc.
Amid the rise in U.S. drilling activity, money managers cut net long U.S. crude futures and options holdings to their smallest long position since November.